I am loving my new salon!!! Have been going there since April when I got a keratin treatment. They were having a half off special so I jumped on it! 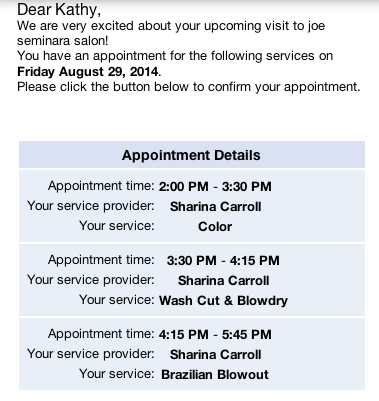 I love that they send me an email reminder for my appointments! Also, I was only there for three hours! My hair stylist is wonderful. I am very lucky I found her in my search for a new salon! 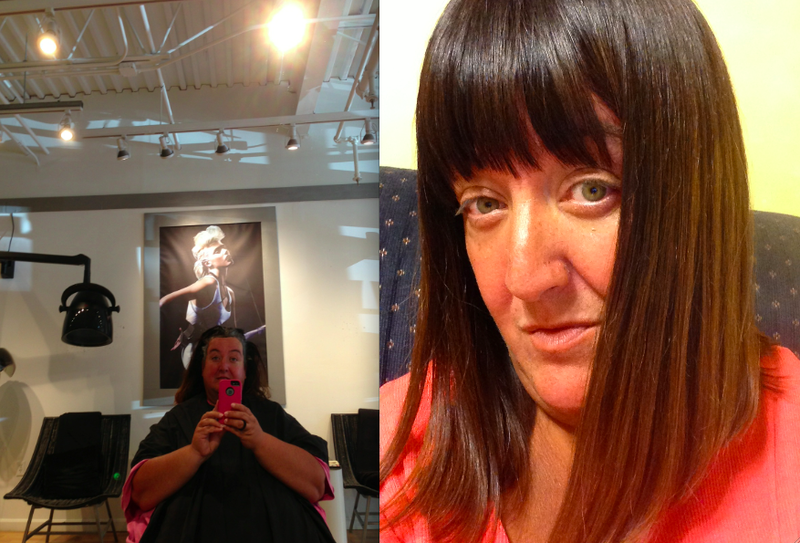 Here is during color and after color/cut/keratin treatment! This entry was posted in Uncategorized and tagged hair, happy, keratin, new salon, shiny straight hair. Bookmark the permalink.